It’s a very cold and windy day down here this morning; the temperature is hovering about -9°C or so and it’s a full gale blowing. 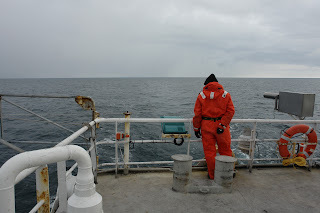 Having said that we have been really lucky with the weather for our CCAMLR survey so far and things are proceeding well with over two-thirds of the sampling lines completed. fisheries as one of the management measures. It’s pretty hard to boil down a complex organisation such as CCAMLR and its management systems into a few sentences but I’ll try my best. Committee which in turn advises the Commission. Most of these groups also meet annually. Why was the Convention thought necessary? Well it was because of concerns raised about the potential for a developing krill fishery in the 1970’s to significantly affect the Antarctic ecosystem (which is largely dependent on krill) and a desire to avoid the overexploitation and other problems that had occurred in other fisheries at that time (including several Antarctic fish species that had been overfished). The main objective of the Convention is the conservation of Antarctic marine living resources, where ‘conservation’ is defined to include rational use (where rational use allows the harvesting of marine species while ensuring that the principles of conservation are maintained). The principles of rational use are detailed out in Article 2 of the Convention. 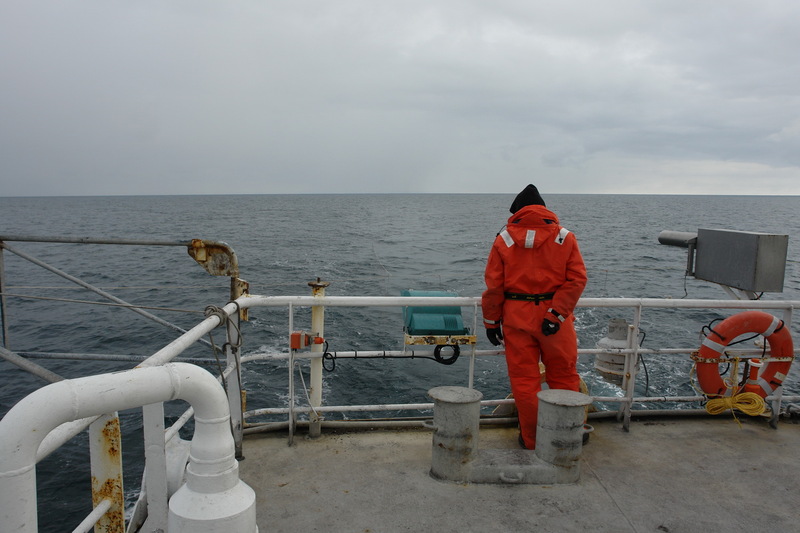 In short - CCAMLR’s task is to balance the demands of fisheries with the requirement to ensure the Southern Ocean ecosystem is not negatively affected by those fisheries. CCAMLR was the first international convention involving fisheries to include wide-ranging conservation principles in its objectives based on an ecosystem approach. 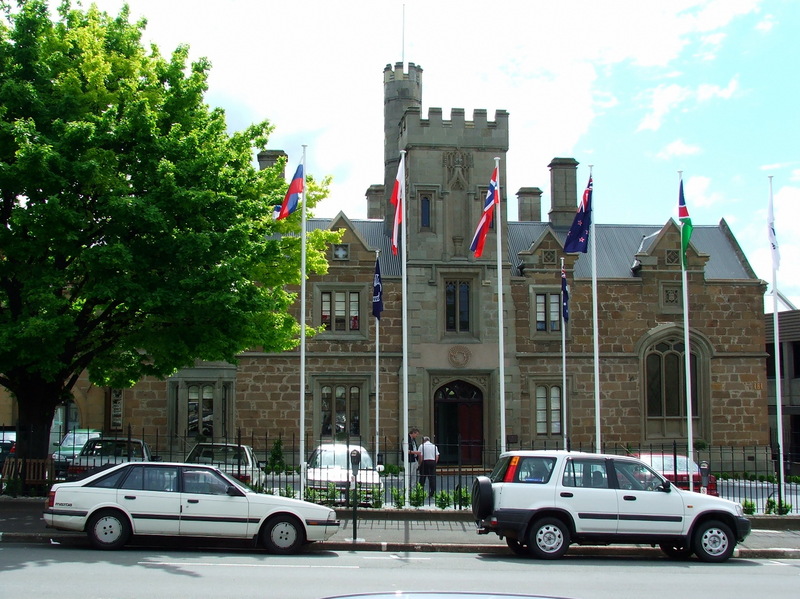 CCAMLR’s headquarters in Hobart, Australia. What is the ecosystem approach? A management system that focuses not only on the target species fished, but also manages dependent and related species in the ecosystem. 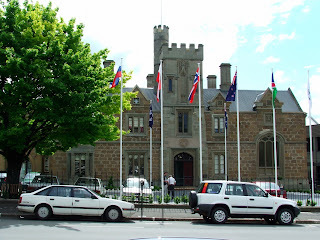 How does CCAMLR do this? Very briefly, by the setting of a long-term annual yield for target species drawing on a number of sources and revising this yield frequently as new information or improved methodologies become available. This yield figure is based on mathematical models which incorporate the requirement to ensure that sufficient of the catch species are also available for predators. The calculations are deliberately conservative to account for uncertainty in our knowledge. Other sources of information such as research surveys (like one San Aotea II is currently undertaking) are incorporated as well as any other relevant fishery independent information. Fish and non-fish by-catch are also rigorously managed – the protection of these will be the subject of a further blog. For those interested further the CCAMLR website provides a much more comprehensive explanation of these topics. I hope that the weather is kinder for our Our Far South crew as they cross the Southern ocean from Macquarie Island to the Ross Sea than it is here today. I am hoping to transfer aboard sometime midweek. Next blog – Seabirds and fishing – challenges and solutions.